Britannia Skips knows that people come to us for various projects. We have a large range of skips to suit the different needs of our customers. 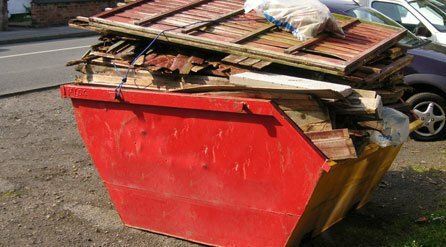 Whether completing a large building job, or clearing a house, the 10 yard skip could be the one for you. When thinking about your skip requirements, it is important to keep in mind what you’re putting into it. This is why we say that 10 yard skips should not be used for heavy materials such as concrete or earth. This skip is ideal for light bulky waste, and is the perfect companion for house clearance. To understand the dimensions of this skip, with a capacity of 10 cubic yards (or 7.5 cubic metres), you will see it fit approximately 120 to 140 bin bags. It measures in at 79 x 67 x 60 inches, which is why it is highly recommended as your first port of call for clearing houses. If this is your skip of choice, simply call to make your order. We offer a same day skip delivery service, meaning we can meet your needs when you fall short of space for your waste. We can also advise you about acquiring the right council permit for the skip, as well as answer any other questions you may have about our skips. Whether you are certain of your skip requirements, or you want to discuss your options, please give us a call and we will be more than happy to find a solution to your project needs.